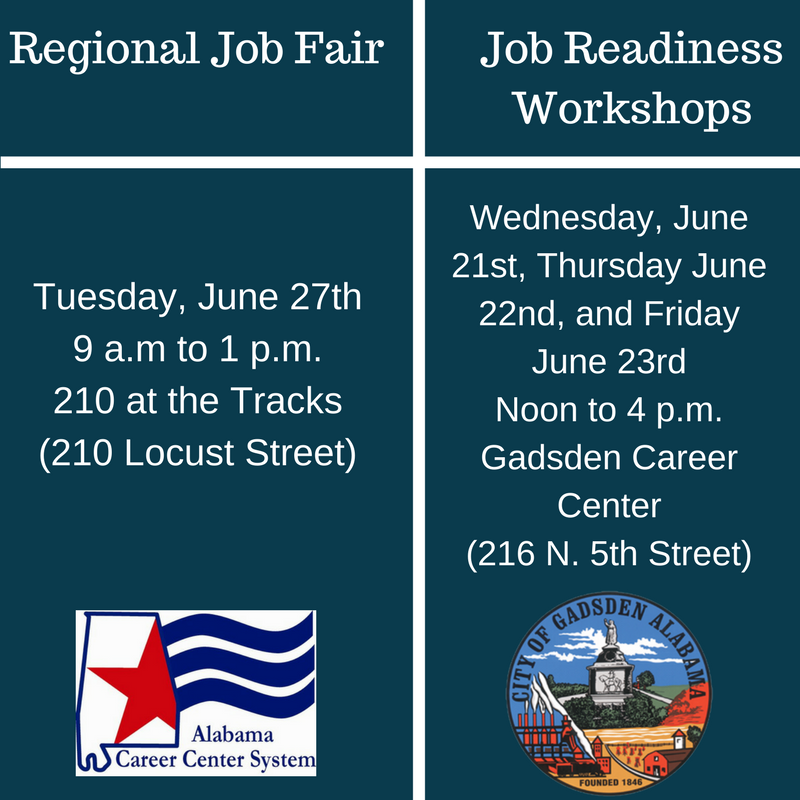 In coordination with the Alabama Career Center and WBRC News, Gadsden is hosting a Regional Job Fair for local residents seeking employment in the area. The job fair is set for Tuesday, June 27th from 9 a.m. to 1 p.m. at 210 at the tracks (210 Locust Street, Gadsden, AL 35901). This provides a fantastic opportunity for you and your job search. It is the place where many employers from around the state and in your hometown area come together to tell you about their companies, introduce you to the jobs available at that particular time, and let you apply for those jobs on the spot. In some cases, employers conduct interviews at the job fair, too. Each Job Fair is free and open to anyone looking for a job. Attendees are encouraged to dress professionally and bring resumes. Military veterans will receive priority. Interested individuals or employers can apply online. To prepare for the job fair, jobseekers are encouraged to attend the free job readiness workshops on Wednesday, June 21st, Thursday, June 22nd, and Friday, June 23rd. The workshops will be from noon to 4 p.m. at the Gadsden Career Center (216 North Fifth Street, Gadsden, AL 35901). Workshops on resume building, dressing professionally, and improving interview skills will be provided.